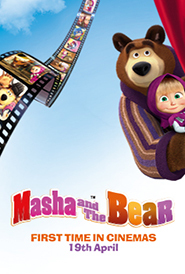 Once upon a time, a little girl named Masha, befriends a Bear, a former circus performer who now enjoys a nice quiet life. Masha finds herself in all kinds of adventures that cause havoc in the Bear?s otherwise peaceful and uneventful existence. We meet many other characters along the way: there are the curious Squirrels, the always hungry Wolves, the cunning Hare, the Hedgehogs, the mysterious Female Bear, even the Panda and the Tiger and many others. Their friendship reflects the relationship of a child and an adult who tries to explain the world to a young and growing mind.